Teknologi pelapisan plat logam dengan menggunakan larutan yang mengandung ion-ion logam yang sama dengan logam yang digunakan sebagai pelapis. Permukaan logam akan melepaskan atau membentuk ion-ion logam yang larut dalam kandungan elektrolit. The ancients' word for dawn, passed down the generations into Spanish and Italian as a symbol of light, hope and new beginnings. The inspiration for a unique watch collection, characterized by fresh, bright designs for people who cherish life and who strive to get the most out of it. Alba was born in 1979 in Japan and its success was immediate, with the Alba name becoming an instant symbol of the value and quality that consumers expect from a brand created by Seiko Watch Corporation. 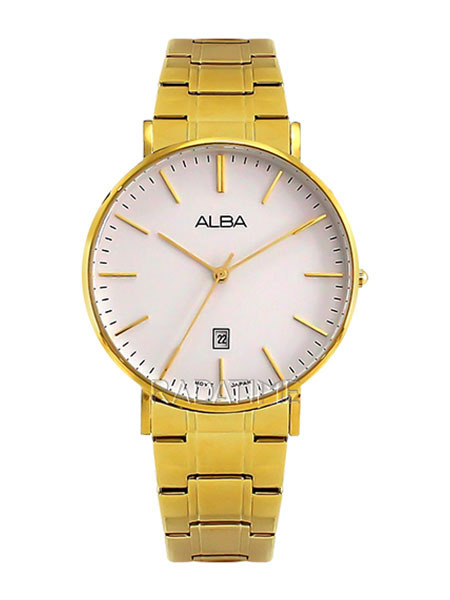 Every Alba watch shares three common characteristics: unique design, outstanding quality and an affordable price. Its fame spread rapidly throughout Asia and the Middle East and today, Alba is a respected name in watches, with over millions satisfied new customers every year.